I had originally made plans with Cathy to attend this party, despite it being Cathy’s birthday. At the last minute she canceled on me. Fortunately, mom was having a yard sale that day, so she lent me her car so I could attend. I made migas for the party, looking forward to eating the leftover when I returned home. They ate all of them and I got a few compliments on my cooking. I met Verna through the El Segundo Slipstitchers knitting guild, but got to know her better when I started attending the Tuesday morning knit group with Cathy. After Cathy move to Hollywood, my attendance waned, as I do not possess an automobile. Verna is a sweet lady, who had a garden and made some delicious stuff for our potlucks. I wish her well in Oregon, where she has relocated. Perhaps if I ever go visit Tania again, I can include a visit to Verna as well. 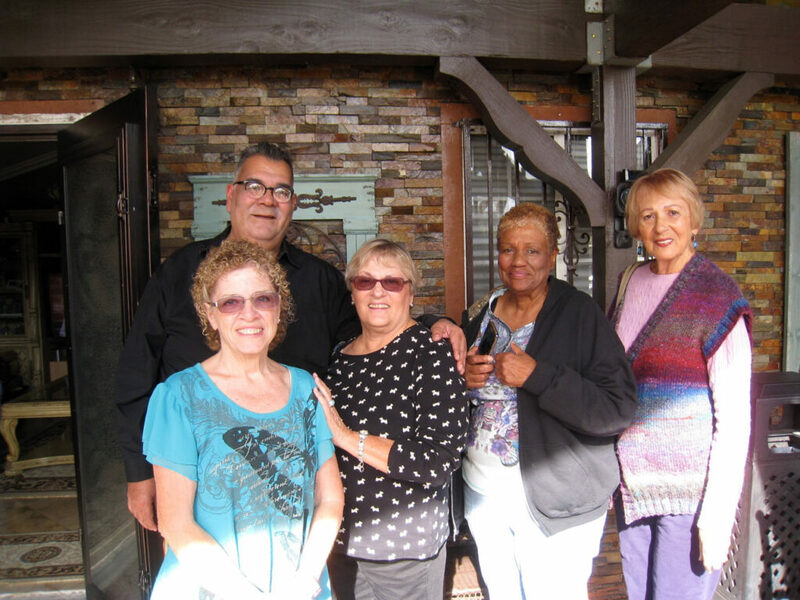 It was great to see Barbara, Karen, Cherylynn and Cynthia again.